A qualified Geography and C.S.P.E teacher living in the Athlone area and willing to give grinds. I feel it is essential to show marking schemes and show the layout of essay answers at a Leaving Certificate standard. To work through exam questions and in particular short questions which are becoming more difficult every year. I will ensure to assist students with beneficial methods for exams and giving students notes/ sample answers where needed. I have four years teaching experience working both at home and abroad. I have taught Geography to Higher level and also Ordinary level. Very educated in the Geography investigation particularly in River and Traffic studies. Very beneficial to students who are finding the questions difficult to comprehend within the exam questions. Generally students do not refer to the questions being asked. Therefore, it is very worthwhile if students find both short and long questions difficult. 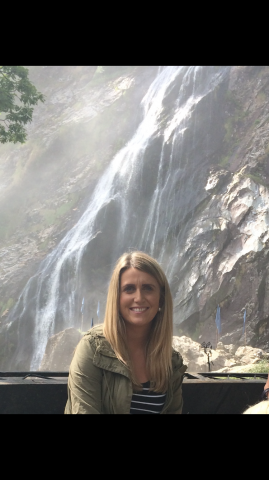 AineFrom Theresa (5/5): (Junior Cycle Geography) I took my daughter to see aine for geography tuition. Aine made her feel very welcome in her home. She was an excellent tutor, my daughter left with a better undestanding of geography and was very happy. I would highly recommend aine to anyone looking for a tutor.